Earlier, we exclusively reported about a new mid-range smartphone from HTC called as HTC One X9 being certified by TENAA. As teased earlier, the Taiwanese smartphone giant today officially launched a new mid-range smartphone in its new ‘One X’ series called as HTC One X9. The smartphone is priced at costs 2399 Yuan ($370) and will go on sale in China later this month. 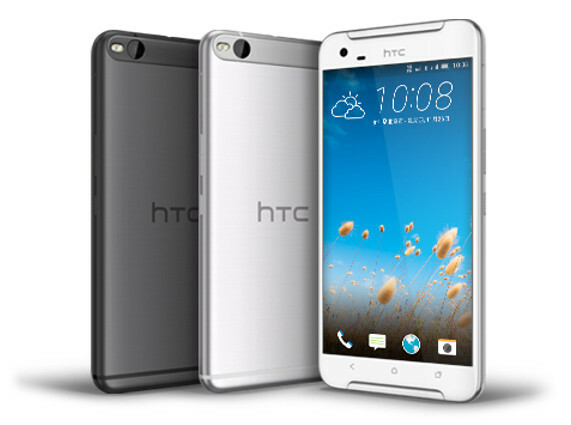 Regarding specifications, the HTC One X9 comes with a 5.5-inch (1080×1920 pixels) full-HD display offering a pixel density of 401ppi, 170-degree viewing angle and Corning Gorilla Glass protection on top of it. Under the hood, is the MediaTek MT6795T Helio X10 64-bit octa-core processor clocked at 2.2GHz accompanied with PowerVR G6200 GPU. The smartphone has 3GB of RAM, 32GB of built-in storage and microSD card slot for expansion upto 2TB. On the camera section, the smartphone sports a 13MP rear camera with dual-tone LED flash, BSI sensor, OIS and is also capable of shooting 4K videos. On the front, it has a Ultrapixel snapper with f/2.0 aperture and 24.7mm lens for video chats and crazy selfie lovers. Connectivity options on the dual sim capable device include 4G-LTE, Bluetooth 4.1, GPS/A-GPS, Wi-Fi and microUSB port. The One X9 comes sports slim all-metal body and also features dual front-facing BoomSound speakers with Dolby audio support. It comes backed by a 3000mAh battery with fast charging support that can easily last for an entire day on mixed usage. The company did not mention which version of Android it runs on, but like the earlier launched HTC One A9, we can also expect it to run on Android 6.0 Marshmallow based HTC Sense UI out of the box. The dimensions of the handset measure 153.6 x 75.9 x 7.99 mm weighs around 173 grams and comes in Gunmetal Grey and Silver color variants. Stay tuned for more updates on the launch of the device in other markets!